Thousands of dollars could be being wasted even at smaller clinics if their medical waste is not being handled properly. Although they may be found in compliance because they’re not throwing regulated waste in the trash, they could be spending a lot more money on medical waste disposal than they really need to. 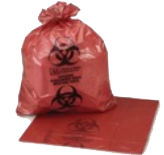 All clinics will want to make sure they review their waste disposal policies periodically to ensure they’re using the red biohazard bags only for the waste that needs to be in them. How are Clinics Wasting Money? Small to medium-sized clinics often don’t realize they’re wasting a lot of money with the items they place in the medical waste bins. Often, personnel will err on the side of caution and place items in the bins that don’t have to be there. This adds to the weight of the bin when it’s picked up, and the heavier the bins are, the more it’s going to cost for the items to be disposed of. Over time, this can add up to quite a bit of money for the clinic; money that could be well-spent elsewhere. 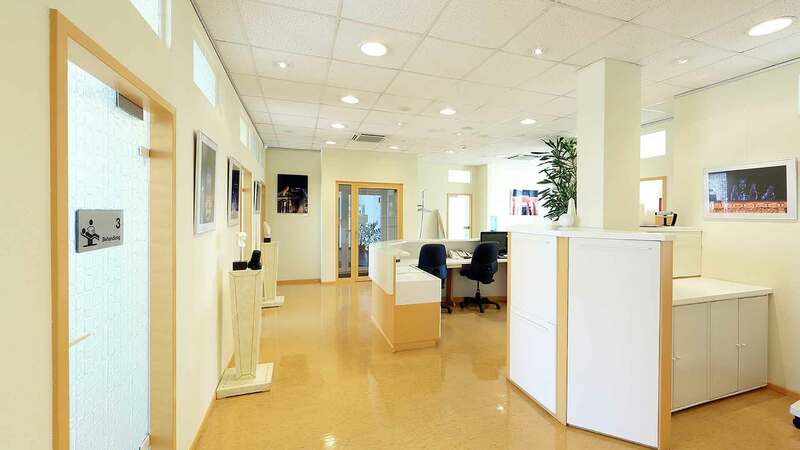 How Much Money Could a Clinic be Wasting? Regular waste taken away from a clinic generally costs under 10 cents per pound to deal with, but medical waste, which needs to be handled carefully to prevent the spread of infectious diseases and other issues, can cost up to 50 cents per pound. Looking at just a pound of waste, it doesn’t seem like that big of a difference, but it adds up quickly. For clinics, 1,000 pounds of regular trash would cost up to $100 to get rid of. The same weight of regulated medical waste could cost as much as $500 to dispose of. When items are placed in the medical waste bins instead of trash bins and they don’t need to be, they’re adding to the cost to remove the medical waste, which is far more expensive than the regular trash the items could go into. What Should Go into Red Biohazard Bags? The only items that should go into the red biohazard bags are waste items that are regulated by the state the clinic is located in. The exact waste that needs to be placed in the bag can vary between states, but most of them include anything that is soaked with blood or other bodily fluids that are regulated. Just because an item is contaminated doesn’t mean it’s contaminated enough to be regulated, so understanding the difference is vital. Regular trash should never go into biohazard bags; these items should be placed in a regular trash receptacle. Trash that has small traces of blood or other bodily fluids should go in the regular trash receptacles as well since these items are not part of the medical waste that is regulated. They should be handled carefully, but they are not contaminated enough to need to be disposed of in the red biohazard bags. Clinics should have a list of what needs to be placed in the red biohazard bags easily accessible for personnel to check to make sure they know what should and shouldn’t be placed in these bags. The information should be clear and easy to understand so the staff can understand what trash is regulated and what trash can go in standard trash bins. When instructions are clear, the staff members know exactly what needs to go in the red biohazard bags and what doesn’t so they don’t add in unregulated medical waste by just guessing. Clinics will want to perform regular checks for the biohazard waste disposal to ensure the amount of trash that doesn’t belong in these bags is minimized. Although it might not be possible to completely eliminate the extra trash in the biohazard bags or prior to the biohazard sharps container disposal, regularly checking the contents and reviewing the training with personnel can help significantly. Clinics should check their biohazard waste bins for non-regulated medical waste at least once per year to see what is really getting put into these bins. If there is trash found in the bins that does not belong, they should provide added training for all personnel. The training should cover what is regulated medical waste, what should be in the bins for biohazard disposal, and how to minimize the trash that’s placed in the bins when it shouldn’t be. Many times, biohazard waste disposal companies can provide added assistance with checking medical waste and training personnel. This can help minimize the costs associated with non-regulated trash being placed in the red biohazard bags and ensures the medical waste disposal company only has to handle regulated medical waste when they collect the bags for disposal. Clinics will want to look for medical waste disposal companies that service their area to ensure they find the right company to minimize expenses. They might want to consider how the medical waste will be handled between their clinic and the medical waste management facility. This can have an impact on the amount they spend for red biohazard bags disposal. Some companies will provide boxes to pack the medical waste and have it shipped to the medical waste management facility. Other companies will have the clinic pack the waste and have it ready to be picked up by the company. Clinics will want to make sure they know how to properly pack the medical waste for shipment or pickup depending on the option they choose. The right tactics can help clinics reduce their costs for biohazard disposal significantly by ensuring only regulated medical waste is placed in the bags or bins for disposal. 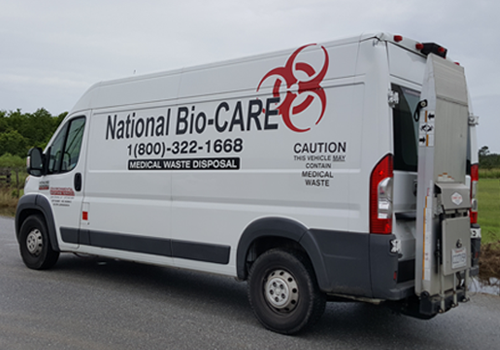 Any clinic that needs further assistance minimizing excess costs or disposing of their medical waste properly can contact National Bio-CARE for help right away. We handle the disposal of regulated medical waste in Baton Rouge and surrounding areas, and we offer a FREE Quote so clinics can see how much money they could save.